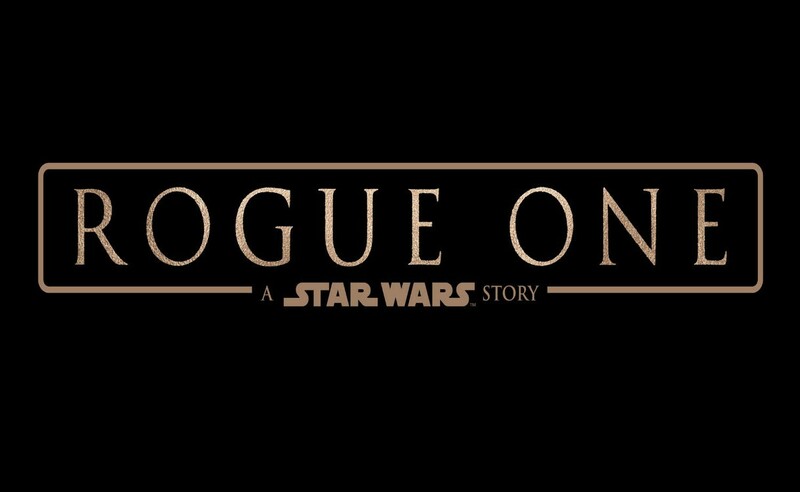 Rogue One: A Star Wars Story is unlike any Star Wars movie to date. 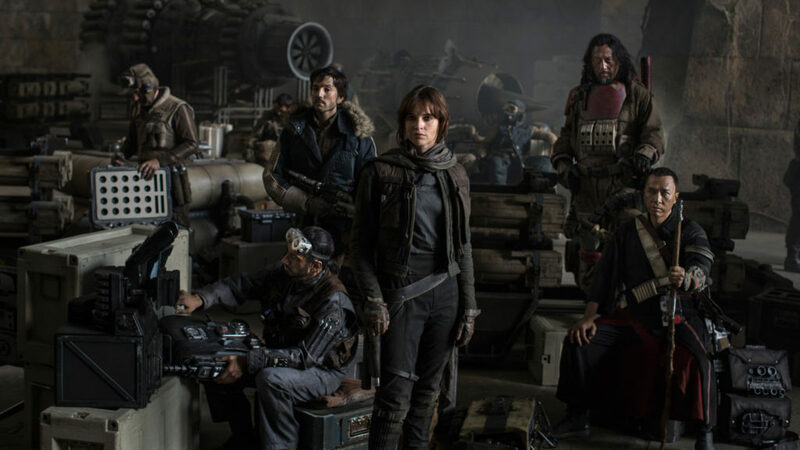 While its predecessors mostly set a fun and lively tone, Rogue One presents a far bleaker, unforgiving one. Filled with cameos, references, and attention to detail, this is a Star Wars movie made for longtime fans. It may take some time for Rogue One to hit its stride, but once it does, it rises to be one of the best Star Wars films to date. Set just before A New Hope, Rogue One follows Jyn Erso (Felicity Jones), the daughter of an Imperial Scientist responsible for the design of the Death Star. After being rescued from an Imperial internment camp by group of Rebels, she is tasked with the near impossible mission to steal the secret plans made by her father to destroy the cataclysmic superweapon. The entirety of the movie feels more like a war movie than any other Star Wars film, and makes some bold decisions along the way. Rogue One isn’t afraid to shy away from the fact the Rebels aren’t the heroic good guys we expect them to be. Characters like Rebel Intelligence Officer, Cassian Andor (Diego Luna) and Rebel extremist, Saw Guerrera (Forest Whitaker) serve as a reminder that, in times of war, people can be driven to commit horrendous acts no matter what side they belong. Rogue One doesn’t hold much back when it comes to war. While there is no gratuitous violence, the implication of death and destruction hits just as hard. I’ve been a huge fan of Star Wars for many years and consider myself very knowledgeable of the franchise. Rogue One is a Star Wars movie that was made for the fans by fans because there was so much they took into consideration to make it fit properly into the timeline. Unfortunately, some of the best stuff I can’t mention because it dives too heavily into spoilers. It’s surprising how little was shown in promotional material leading up to release. One problem the film suffers from is the lack of character establishment. Aside from Jyn Erso, I could not remember a single characters’ name immediately after the conclusion. I remembered the characters more by their actions and characteristics than by their names. Part of this has to do with the film’s first act which jumps from place to place without effectively establishing the characters. Jyn’s relationship with her father as well as her companions fell a little flat as a result. These shortcomings don’t mean the cast was uninteresting, by the end of the movie I felt strongly for most of them. One of my favorite characters was the reprogrammed, Imperial enforcer droid, K-2SO, who serves as the main comedic relief in an otherwise serious movie. His blunt remarks were genuinely funny, but I also loved his lethal efficiency in combat. He was a great representation of what a droid built for combat could do. Another one of my favorite characters was Chirrut Imwe (Donnie Yen), a blind guardian with limited Force ability. Chirrut’s dogmatic belief in the Force is reminder of how far the Jedi have fallen; their practice reduced to mere superstition in the eyes of some. Chirrut also puts into perspective, just how powerful and effective a true Jedi master was. Perspective is a concept found heavily throughout the movie in more ways than one. This isn’t a story about the great and powerful of the Star Wars universe, but rather it’s about the forgotten and powerless facing the great and powerful. At first, the Imperial officer and main villain, Orson Krennic (Ben Mendelsohn), appears as man to be feared, only to be swiftly buried under the authority of higher ranked personnel like Darth Vader. The Rebels appear as ants compared to the Empire. There’s a great shot (among many) of an Imperial Star Destroyer next to a city equal in size, where the cast had just spent some of their time, and another sequence in which a towering AT-AT shrugs off a rocket blast from a Rebel. Both scenes capture just how outmatched the Rebels are compared to The Galactic Empire. Much of the action is presented at the ground level contributing to that ‘war movie’ feel, and there is a lot of action to maintain that grounded perspective. It’s no surprised that Darth Vader is in this movie; he was in the trailers after all. Don’t go into the film expecting a lot of screen time from him. Vader is used sparingly to maximum effect which, turns out, was the best thing to do in this situation. Rogue One does an excellent job at recapturing the personality of previously existing characters. They made Vader a villain to be fear again. I went into Rogue One expecting to be unimpressed, and it blew me away. At the very least it makes A New Hope even better because it provides even more context to an already great film. There’s no way you will look at A New Hope the same way again after seeing this movie. 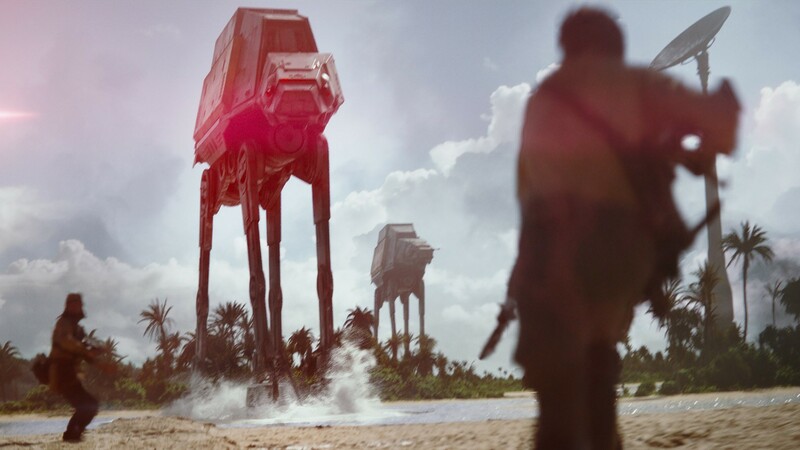 If you are a Star Wars fan, you will love Rogue One and all that it brings. It may take some time for Rogue One to hit its stride, but once it does, it rises to be one of the best Star Wars films to date.